Speaking at a meeting with the ministry’s senior officials on the matter, Somkid he also requested trade negotiators to push for the conclusion of the Regional Comprehensive Economic Partnership (RCEP) this year. "The government's clear stance on the CPTPP and the RCEP will help boost trade and investment sentiment," Somkid said. "Despite the transition period before the next government is formed, continuous efforts by the current government to build up investor confidence are still a must." 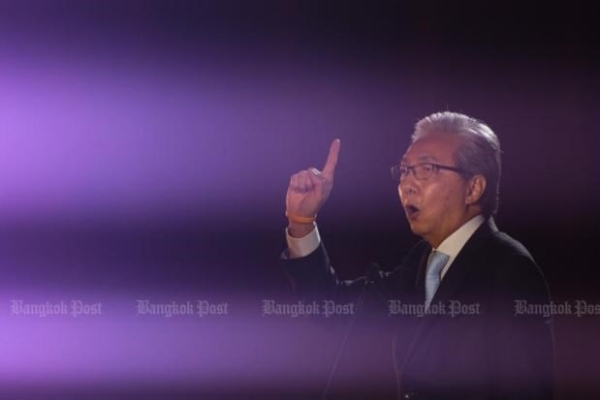 Acting Commerce Minister Chutima Bunyapraphasara said the ministry will call a meeting of a working group on the CPTPP this month to consider a study of the benefits and impacts of joining the new bloc. A conclusion of all the pros and cons will be submitted to the cabinet for consideration in March, he said. Negotiations on the CPTPP were concluded in January last year between 11 countries namely Singapore, Brunei, Malaysia, Vietnam, Australia, Mexico, Canada, Peru, Chile, Japan and New Zealand. It replaced the Trans-Pacific Partnership (TPP), a similar deal that included the US until the Trump administration decided to withdraw. In 2017, the 11 CPTPP countries' GDP made up 10.5 trillion USD, or 13.3 percent of the world's GDP. They have a combined population of 498 million or 6.7 percent of the world's total. The trade pact came into force on December 30, 2018, after seven signatory members including Mexico, Japan, Singapore, New Zealand, Canada, Australia and Vietnam ratified it.